Hurricane Ike couldn't wipe out a special Texas teal hunt. When Hurricane Ike invaded the southeast coast of Texas in the predawn hours of Saturday, Sept. 18, 2008, the massive storm brought destruction, devastation, death and disruption. With winds topping out at 110 miles per hour and rainfall measuring as much as 10 inches, it was obvious the Saturday opening of the popular Texas 16-day teal season would be put on hold. A world of waterfowling awaits at Blue Wing Ranch. My wife, Jan, and I had planned a trip to Houston to visit our son, Todd, and his wife, Amy, and their two sons, Samuel, 14, and Will, 12. Todd had started our grandsons on waterfowl hunting in their single-digit years, and they are heirs to the family waterfowl tradition instituted by their great-grandfather. Of course, our weeklong visit was based around the opening week of the Texas teal season. Hurricane Ike wasn't a consideration when we planned our adventure after the season was announced in August. With advanced warning, Houston and the nearly four million residents of Harris County had two choices: They could ride out the storm or join the massive traffic jam heading north in evacuation. Todd made the decision for his family to hunker down at their West University home and accept the wrath of Ike. We were in constant cell phone communication with our loved ones before, during and after the storm. By Sunday morning, God had answered our prayers. They were safe, and no structural property damage was incurred -- only much debris, street flooding, downed tree limbs and loss of power. Sunday afternoon, Todd loaded family, perishable food, two dogs and Jessie the cat and headed 45 miles southwest to his hunting ranch near Eagle Lake. in the heart of what is known as the Snow Goose Capitol of America, Blue Wing Ranch offers the Reid family safe haven before and after the hunt. Todd's Blue Wing Ranch, a Ducks Unlimited wetlands restoration co-op project of almost 300 acres, lies in the heart of the Texas waterfowl region known as the "Snow Goose Capitol of America." Hunters throughout the country come to the Eagle Lake area in late autumn and winter to pursue the millions of snows and specklebellies that migrate to the region. You can imagine by the name chosen for the ranch that another species of waterfowl frequents the same Texas flatland. Blue-winged teal, commonly referred to as bluewings, are one of the smallest of the waterfowl species. They are the first ducks to migrate, arriving in southeast Texas in late August each year on an almost predictable date, much like the swallows to Capistrano and the buzzards to Hinckley, Ohio. Teal find the thousands of acres of flooded Texas rice fields and spacious prairies as a welcome stopover before completing their 5,000- to 7,000-mile migration into Mexico and Central America. Jan and I had all but crossed off our Texas trip after Ike's fury shut down airports, canceling all flights until further notice, closing many roads and leaving most without power. But a Monday morning phone call from Todd gave us hope. He indicated the airports would open on Tuesday, power was slowly being restored and travel was being allowed if you could obtain fuel. He, his sons and two friends had enjoyed a 20-bird limit of teal early that morning. "Need you and mom down here if you can book a flight," he said. 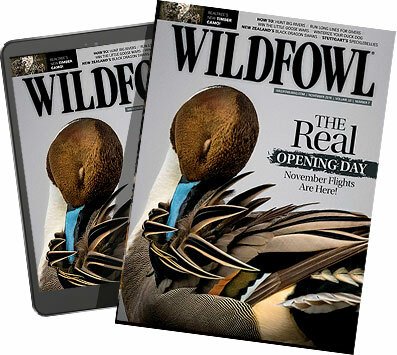 The U. S. Fish and Wildlife Service recognized blue-winged teal were basically an unharvested resource in the United States because of their early migration and the established fall/winter dated waterfowl season for other ducks. Therefore, in 1965, a special nine-day September trial season was established for teal, both bluewings and greenwings. Waterfowl biologists examined the results of the special event and determined yearly consideration would be given to continue the project. Most duck hunters called it a bonus season and enjoyed the opportunity. Although closed seasons in 1968, 1974 and 1988 through 1991 because of poor nesting conditions and overall reduction in bluewing populations, the special teal season has become a calendar event for many waterfowlers since 1992. In 1998, the September hunt was expanded to 16 days thanks to large numbers of bluewings. Since then, population numbers have dictated either nine or 16 days for the season. Teal are special birds and I love to hunt them. Their diminutive size, flight, speed and unmistakable formations give the little guys a positive identification from afar. As the birds approach, bank and dive to decoys, the outstanding blue patch on each forewing is a dead giveaway as to the identity. Hunters better have guns ready, because the aerial acrobatics of the tiny waterfowl make them a truly challenging target. Will Reid occupies one of six blinds at the edge of Blue Wing Ranch's teal lake. Mud flats and shorelines are sown in millet when the water is at its lowest point to attract teal to the area. Despite warm conditions, bugs and water shortages on occasion, I've enjoyed hunting teal during the special season every year since the inception. Most of my hunts have taken place in my home waters of the Mississippi, Illinois and Kaskaskia rivers. Experience has told us to look for shallow-water areas, exposed mudflats and aquatic vegetation. Over the years, the birds have given indication to my partners and me as to favorite teal gathering holes. However, we spend a lot of time and effort pre-season scouting to find new areas where the early migrators might congregate on their journey south. After selecting our hunting spot, the mode of operation is fairly simple. We use a dozen bluewing decoys with brightly painted teal bluewing spectrums and a half-dozen greenwing decoys added to the spread. Motion wing decoys are an option. On bright sunny days, we use them. But on dark, cloudy days, we never do. tempting, we try not to overhunt our honeyholes. Generally, after two hours or our limit of four each, we pick up the decoys and get the heck out of there. Hopefully, the birds will return later and find a peaceful setting. For several years, we have found one spot to be productive for multiple hunts. Other seasons, it has been a waterfowler's chore to have success. Bluewings respond well to a teal duck call. Several companies produce an effective imitation of the little ducks. Our preference is the Rice Lake Teal Call manufactured by Dave Jackson of Illinois River Valley Calls in Pekin, Ill. Most teal calls are easy to blow, and with a little practice, the results are surprising. The high-pitched kee-kee-kee sound grabs attention, and softened, short quacks keep the ducks focused on the decoys. Of course, as in all waterfowl hunting, hunter concealment is primary for success. Departing St. Louis on one of the first flights to Houston's Hobby Field on Southwest Airlines, we were delighted to see our son two hours later. The evidence of Ike's aftermath was everywhere as we headed to the ranch on a basically deserted highway, U.S. 59. Braving mosquitoes can pay off with heavy game straps. The teal lake on Blue Wing Ranch is especially developed and maintained for the early migrators. Mud flats and shorelines are sown in millet in July when water is at the lowest level. Summer rains are generally sufficient to allow the seeds to germinate and plants to grow to maturity. The large decoy pothole is mowed several times before the deep-well diesel pump is turned on in late August to flood the leveed compartment. Six, small individual blinds, well camouflaged, have been placed side-by-side on the levee overlooking the decoy pothole. Thus, hunters have freedom of movement and a safe setting for shooting. Earlier, Todd informed us that he and Amy would be on a business trip to California until late Friday. Also, Samuel, our oldest grandson, had accepted an invitation to South Texas' opening of dove season. One of the byproducts of the hurricane was no school for a full week. Thus, Grandma Jan would be in charge of the ranch, while Will and "Grump" would be given the daily teal hunting assignment. A cool northeast breeze was welcomed as my grandson and I loaded the ATV and headed for the teal hole. One element seems to always accompany the September teal season -- mosquitoes. Everything is big in Texas, and that goes for the buzzing, biting bugs by the hundreds. Commercial sprays help. The predawn light, shortly after shooting time, brought a rush of wings overhead and the "kee-kee-kee-kee" sounds from our teal calls turned the small bunch of bluewings as they banked over the lake. "Ready, Will," I whispered. "They're going to dance the dance." Seconds later, we raised our guns and each got off two shots. "Good shot, buddy," I cried. Will and I had each connected. Two teal floated belly up in the decoys. For the next hour, it seemed that every 10 minutes a single, pair or small bunch of high speed, jet-like teal would give our decoys a play. During that time, there were grumbles on misses and high fives on kills. By 9 a.m., it was game over. The birds had found safe haven and the mosquitoes were multiplying by the minute. Will and I had enjoyed a great morning with seven birds in hand. The remainder of the day was planned: Clean our kill, take Grandma Jan to East Bernard for lunch, enjoy an afternoon nap and work the Reids' 7-month-old black Lab, Dixie, after dinner. The little female would make her first hunt under the guidance of master Todd over the weekend. Larry Reid relishes the Texas teal season. Thursday morning's hunt was almost an instant replay of the previous day. My grandson and I each made some good shots, and we missed some easy ones. It was during my outcry of "How in the world? I can't believe it!" that Will came forth with his unforgettable remark. "Grump," he exclaimed, "You're just like my brother, Samuel. Whenever you miss, you blame it on the gun." He not only had his big brother nailed, he also had his grandpa figured out. We think a bird should fall on every shot. Again, seven birds, including a pair of greenwings, made the morning a pleasure. Friday, the birds took the day off except for two singles that made the fatal mistake, one for Will, one for "Grump." By 9 a.m., as the sun resembled a ball of fire and the temperature rose into the mid 80s, it was evident that there would be no more teal action. Will and I decided to pack it up and head for a late breakfast with Grandma. Growing boys can sure put away a lot of pancakes and sausage. Perhaps tomorrow, the weather would cool and the birds would fly. Later that evening, Will was happy to see Mom and Dad back home as they joined us at the ranch. Will reported to them our three days together hunting and hanging out with Grandma was "lots of fun." Fog is not the weather condition a waterfowler looks forward to, but as Todd, Will, Gary (Todd's close friend) and myself found our way to the hunting area early Saturday you could "barely see your hand in front of your face." Fortunately, we made the best of each opportunity the ducks gave us. Young Dixie made her first retrieve to the applause of her fans and a proud smile from her master. She must have wondered about all the fuss over her first real duck retrieve. After all, she had endured hours of training to perform what she had been born to do. As the fog slowly dissipated and the temperature rose, the duck flight came to a screeching halt. Fortunately, the mosquitoes weren't as active either. Nine teal in the bag was definitely an accomplishment considering the thick fog and limited vision. The time had come for my last Texas waterfowl hunt until the November duck season. On this beautiful Sunday morning, it would be a father-son affair as my grandsons both rested for afternoon baseball practice. After two hours, few birds in the air, and a bag of four, Todd decided it was time to pack up, close the gate and head for Houston just in time for church service. The remainder of the trip would be sharing with family until tomorrow's flight back to St. Louis. The Texas teal season continued for another week and a daily report would include a couple slow mornings, but mostly, "Dad, I wish you'd been here." Americans, Hurricane Ike will never be forgotten. For one grandfather and his 12-year-old grandson, the week that followed will forever be remembered as a special time of sharing a passion. Larry Reid is host of "Outdoors with Larry Reid," which airs Sundays at noon on WBGZ Radio, 1570 AM, in Alton, Ill.